Dani supported Sarbati and her two children because her husband, his brother, did not earn. His family says it is not hopeful of receiving Rs 25 lakh Vedanta has promised as compensation. 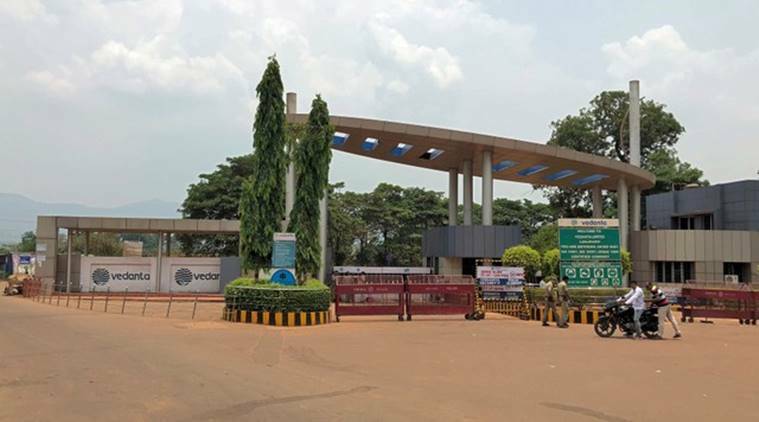 Minutes before he was killed, Dani Batra was waiting for the gates to Vedanta’s alumina factory in Kalahandi to open on Monday, his family claimed. As he stood outside, it said, violent clashes erupted between security forces and local protesters, which left two men, Batra and an Odisha Industrial Security Force (OISF) personnel dead. “He wasn’t even there to protest. Contractual workers like him were waiting for the plant gates to open,” said Sarbati, wife of Dani’s brother. “Dani, who worked for Vedanta for a decade, was paid by the day. He didn’t want to miss work,” she said, adding that the death has brought two families close to destitution. 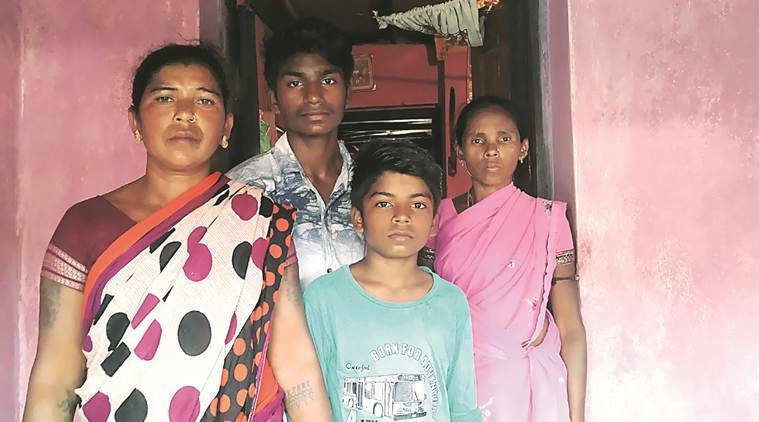 Pointing to a framed picture of the Buddha and B R Ambedkar in the two-bedroom house, Dani’s wife Saindri said, “A practising Buddhist, he gave up meat to avoid harming animals.” Their sons, aged 16 and 10, share a WhatsApp video the family claims is of Dani. The video shows security personnel retrieving a man from a pond and performing CPR (cardiopulmonary resuscitation) to his limp body. “The company is yet to compensate for the land they took from other people in Lanjigarh,” claims Sandri. Vedanta clarified Thursday that Batra was employed by its contractor, K S Engineering. According to police, Batra was killed and the OISF personnel, Sujit Minz, 39, burnt to death by a mob near the Vedanta alumina factory after locals allegedly tried to storm its premises on Monday. At least 20 people were injured in the clashes, which erupted when residents of Rengopali and nearby villages were staging a demonstration near the factory at Lanjigarh demanding jobs and other facilities, according to police. Sources in the OISF said Minz was locked in the security room after setting his petrol doused body on fire. “Sujit’s 11-year-old daughter in Sundargarh (district) must be devastated”, said an OISF official. But at ground zero, there are different versions of the nature and size of the protest. Some witnesses and protesters said there were not more than 30-40 people demanding the lowering of fees by a school managed by Vedanta when they were attacked by OISF personnel. They claimed “unprovoked brutality” killed Dani. However, an OISF officer claimed there were over 150 locals, who carried arms, and executed a pre-planned attack while the police said the crowd was 300-400 strong. Lingaraj Majhi, 49, of Rengopali village says he was one of the protesters that day. “Around 30 of us had gone to demand a fee waiver for the village children studying at the DAV school managed by Vedanta. We received assurances from the management and came back. The OISF attack was not about our protest,” he said. While confirming that the fee demands were amicably discussed, Vedanta declined to comment on why tensions escalated. Holding up his fractured hand, Chandan claims his garage, 100 metres from the plant, and four motorbikes of customers were destroyed due to “police brutality when a small demonstration by 30-40 people outside the plant spiralled out of control”. As the protestors retreated, Chandan and other witnesses said, an OISF car drew up to disperse onlookers. “They even entered my shop and assaulted me. They know me personally. I wasn’t among the onlookers. But the forces went berserk and even chased people who were running away,” he said Chandan, adding that the “response was not crowd-control, but a brute display of power”. OISF Inspector Ashok Roul dismissed these as “manufactured stories”. He said the force would never take on a crowd “that numbered up to 150, carried weapons and appeared to be executing a preplanned attack”. OISF personnel say the circumstances behind Batra’s death is still unknown. They said the lathi charge followed an attack by miscreants and an officer’s death. Vedanta Lanjigarh CEO Ajay Dixit said that the “OISF acted in self defence and with restraint”. Formed under a 2012 Act, the OISF is a dedicated police unit providing security to state-owned and private industrial projects. The company declined to share its financial commitment for OISF services. “Every month, locals extort money from the management under some pretext. We don’t interfere. This time they started an argument with us and slapped a colleague. They followed us into the premises as we retreated to call for back up,” said Roul. OISF personnel alleged that the mob deliberately targeted the security cameras before setting fire to some buildings. Phone videos shared by the forces show young men armed with lathis, setting fire to buildings. Sources said Gangadhar’s investigation is expected to end in a day or two. Estimating damage to infrastructure at around Rs 15 crore, Vedanta has not filed FIRs. “We are waiting for investigations to conclude,” said Dixit.